Did you know that at any given moment, the bulges and rolls that are taunting you in the mirror are not excess body fat, but unnecessary bloat? Bloat affects everyone from time to time and it is not, as many people believe, excess water retention. In fact, bloating is caused by gas build up in the abdomen. In addition to ruining the silhouette of your cocktail dress, bloating can be extremely uncomfortable. 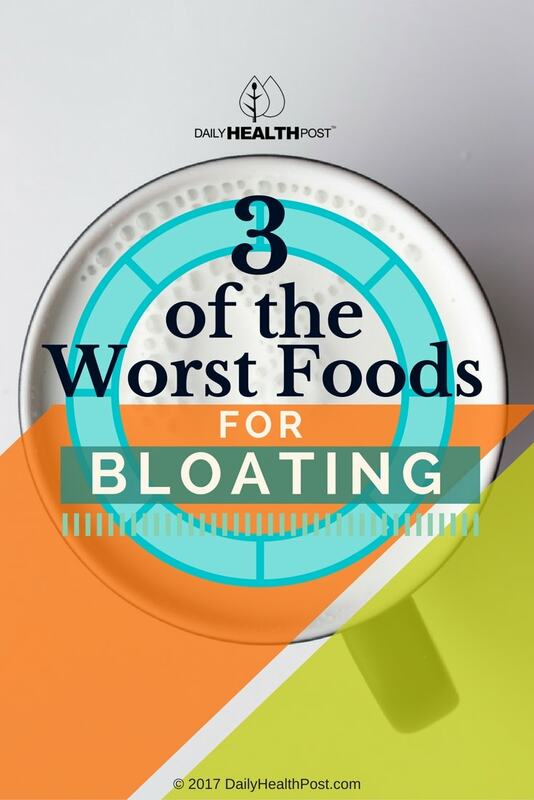 If you are looking to avoid bloating, there are three type of foods that you might want to consider avoiding: dairy, junk food, and carbonated beverages. Dairy is delicious and part of a wholesome and balanced diet. However, eating too much dairy can cause uncomfortable and unflattering bloating. There is a substantial subset of the population that is lactose intolerant, but doesn’t realize it. These people are most likely to experience bloating after drinking milk, eating cheese, or enjoying ice cream. This is due to the fact that lactase, an enzyme present in all dairy products, irritates the digestive tract and causes gas. If you struggle with feeling bloated after eating dairy products, try going two weeks dairy-free. You will love how much trimmer and healthier you will feel when you aren’t bloated all the time. We all already know that junk food is not a food group that we should consume on the regular. However, many people fall into the trap of allowing themselves to have small amounts of junk food each and every day. They justify this with the knowledge that, calorically speaking, their junk food habit is only a very small part of their daily intake. Even if you are consuming only a very small portion of junk food daily, you could still be upping your risk for belly bloat. The sodium and sugar in junk food is a recipe for true bloating disaster, so choosing to snack on fruit, like watermelon or pineapple, instead will go a long way towards slimming down your silhouette. As is the case with most things that are bad for us, we all know that soda should be forced out of our lives and refrigerators. A can of soda really is just 12 ounces of empty calories, but that does not stop millions of Americans from guzzling them down. In addition to all the other nasty health risks, carbonated beverages are also a major contributor to bloating. The gasses in the drink build up in your digestive tract and can lead to that uncomfortable feeling that we all know so well. And it isn’t just the full-calorie sodas that can cause bloat! Any form of carbonated beverage, including beer and seltzer, can cause bloating. You are far better off switching to iced tea or water. Bloating happens to everyone, but for many it can be prevented by avoiding the things that cause bloating. If you are looking to turn around the way you look and feel about yourself and your waistline, cut out dairy, junk food and carbonated beverages. You will be amazed by the results! How did cutting out these foods change your life and appearance? Tell us in the comments!